It is becoming increasingly clear that hospitals are having a difficult time dealing with what were once considered to be easily-treatable diseases. A few weeks ago, the BBC reported that the 'Golden Age' of antibiotics was slated to end. Fewer and fewer companies are willing to make antibiotics, and more diseases are becoming untreatable. Tuberculosis can for many people now be a death sentence, far worse than AIDS. Other diseases are easily spread in hospitals, with some being resistant to carbapenems, "a powerful, last resort group of antibiotics." With antibiotics becoming increasingly useless, some experts fear that it is only a matter of time until some horrendous illness is spread throughout the United States via its food supply. The Washington Post just yesterday reported that the US Food & Drug Administration, "continued to allow dozens of antibiotics to be used in livestock feed, despite findings from its researchers that the drugs could expose humans to antibiotic-resistant bacteria through the food supply." The Washington Post essentially revealed that the feeding of antibiotics to animals is a Wild West, with dozens of drugs failing to meet basic criteria set in the early 1970s, and with dozens more posing "high risk" to human health. In 2011, the European Parliament decried the threat posed by the wanton use of antibiotics in farms; "Virtually untreatable 'superbugs' claim the lives of around 25,000 people in the EU each year, a figure that MEPs fear could grow." That same year, the EU Parliament voted to oppose most use of antibiotics in farms. The United States government, busy with the War on Terror, has failed to protect its citizens from a threat that claims the lives of more Americans every year than have been claimed by terrorists since Bin Laden moved to Afghanistan in 1996. Even if we attribute to Bin Laden every single attack against an American by radical Islamists, the number of US dead is under 15,000. Superbugs, on the other hand, have killed close to half a million Americans and infected tens of millions more since Bin Laden declared Holy War against us. Though the biggest fear in America during the Cheney era was an envelope laced with anthrax or another hard-to-make pathogen, the bigger fear in the coming years should be more similar to what helped early European settlers wipe out large groups of Native Americans: infected blankets. 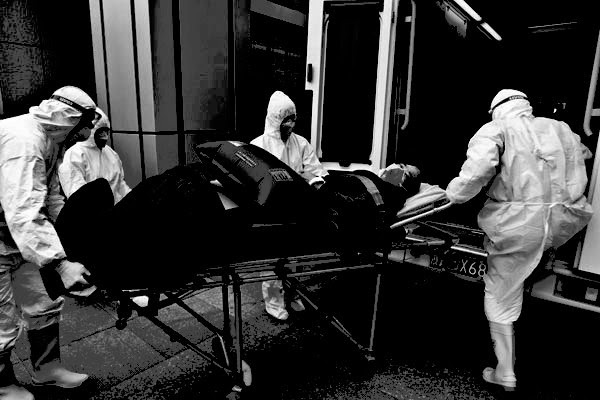 Though America is seemingly walking into a mass pandemic, it could be the case that the Chinese government is already managing the beginning stages of one. Just today, the Chinese halted the poultry trade after chickens in Hong Kong were found to be carrying the H7N9 virus. Though the Chinese allege that only under 100 people have been infected with H7N9, it is hard to acquire exact figures as many deaths are not properly registered or are subject to strict government control when it comes to reporting. It's possible that thousands are infected every year, with hundreds of families unsure of what caused the death of a relative. It's possibly too late for the whole world to come together and confront the threat posed by antibiotics abuse, but if climate change is any indication, action will be too little and too slow. Unlike climate change, which is a more gradual process, diseases can mutate and become extremely deadly over the course of a single night. If there is global inaction (and there will be,) then it's only a question of time until a mass pandemic claims the lives of countless millions around the world.